Editor's Note: With our latest Dev Talk series, Three For, developers make a case for their upcoming release, with gaming history and industry trends considered. Acknowledging the busy market that is Steam and today's abundance in options, our questions invite developers to make a case as to why their labor of love is worth what's in your wallet. Can you speak some on game development in your country, and in the region as well? The development in our country has been growing at a good pace, despite the geographical distance of Chile with North America or Europe. We have been able to travel to international trade shows and learn more about the video game industry worldwide. We are currently 40 companies in Chile and we have developed several products in the Chilean video game industry. In Latin America, it is not easy to succeed for a video game studio, due to the lack of investors and the size of the markets. However, there is a great potential in terms of the creation of innovative games of all kinds. Companies from this side of the world are taking risks and there are new, professional talents that are developing good quality games in Chile. At the same time, The Watchmaker's genre is a tougher sell on PC than on consoles. Hence the question: What makes a 3D platformer great, if on the more robust platform that is the personal computer? For a 3D platformer to be great, it must have a different story and mechanics than the games available on the market. 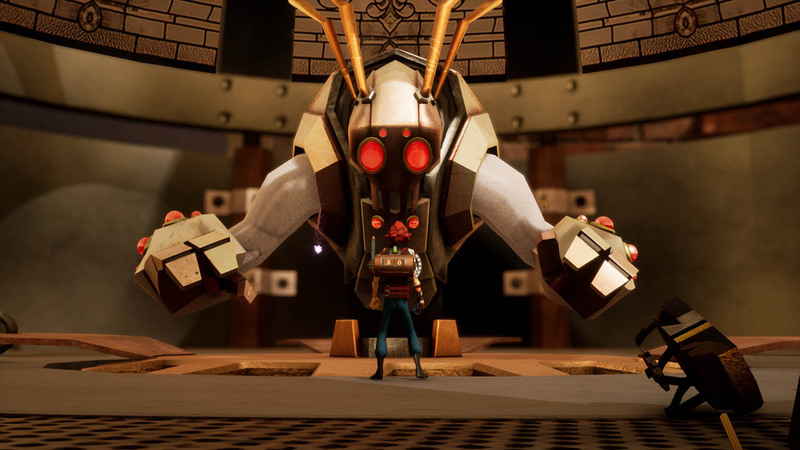 The Watchmaker has a real-time aging mechanic that has not been seen in any other game, besides several mechanical hours of time that are not very common, which draws the attention of gamers. Also, the technical and graphic quality must be aligned with the demands of the real player. The Watchmaker will be released for PC and consoles, and we believe that both platforms have strong markets. The types of players are different for each medium, but we want to reach everyone. The fact that it comes to PC first is only due to the capacity of the team, since currently we are a small studio. Tell us about your vision and the creative process behind The Watchmaker. But more importantly, tell us why it'll be fun to play. The creative process of The Watchmaker has been continuous improvement in these four years of development, starting by working on expressing our own fascination for the time that goes by in life. The fact of aging and the realization that life was made to live and enjoy — not to collect material things — is really important to us, which is something that is inserted in the history of our game. The art of the game is one of the most relevant aspects of the game, along with the story, and we believe that the steampunk style was the right one for a watchmaker — full of gears and steam. In The Watchmaker there is a mixture of adventure and the dialogue is very funny (especially between Alexander and Thomas about whether time exists or not). There are different enemies, final bosses, five different levels, and a variety of puzzles, with totally different settings that represent each of the characters in the story. I sincerely hope that gamers can enjoy the game as I enjoyed it, because it has been a fantastic experience.